Elo has announced the upgrade of their entire 90-Series Open Frame Touchscreens to include an HDMI video interface. This addition, along with the existing VGA and Display Port video interfaces, provides connectivity for the broadest spectrum of applications. (DVI is also supported with widely available HDMI adapter cables.) The new Revision B products maintain form and fit as well as feature backward compatibility to the original Revision A 90-Series product line released last year. All 90-Series open frames come standard with high quality LED panels, VGA, Display Port, USB touch, and, on select models, serial touch. The AccuTouch, IntelliTouch, and SecureTouch models are designed with the same height and width measurements and bezel as our previous legacy generation (pre-90 Series) of open frame products. This allows for drop in replacement of most legacy Elo products. The TouchPro (PCAP) models with edge-to-edge glass all offer Elo’s 2GS (Two Glass Solution) touchscreens that provide 10 touch and thru-touch capabilities. The 90-Series is designed for public applications including gaming, self-service kiosks, gift registry, food ordering, and industrial applications. 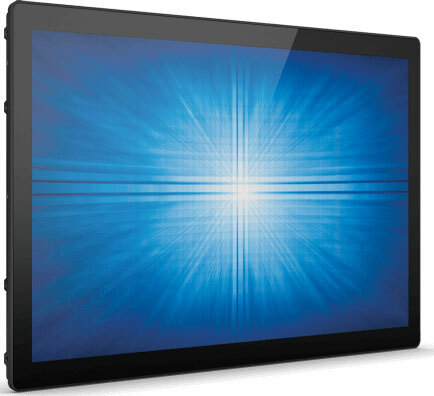 Elo’s open frame touchscreens have a long product life because Elo directly controls the enclosure specifications. This makes future panel improvements easier to implement without having to make external dimensional changes. The 90-Series offers a compact form factor and clean design for easy integration. All options provide a stable “drift-free” operation with outstanding image clarity, resolution, and light transmission for an accurate touch response and vivid images. All 90-Series products are backed by a standard three-year warranty extendable to five years, including the LCD panel. Now there’s a solution for accurate and efficient cash transactions in bars, restaurants, night clubs and other businesses where the low-light atmosphere makes cash transactions difficult. 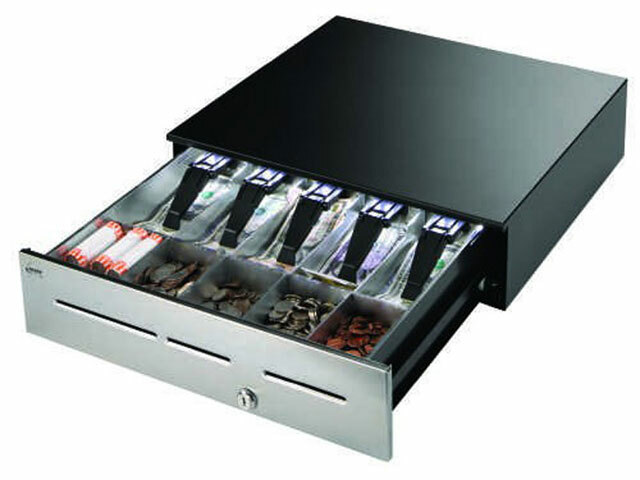 The all-new, patent-pending PayVue Illuminated Cash Drawer from MMF uses an energy-saving LED light source to clearly light the drawer for improved bill and coin identification and placement during transactions. The PayVue drawer was unveiled at RetailNOW, the Retail Solutions Providers Association event in Orlando in early August. PayVue was well-received by the attendees as an innovative solution to an ongoing pain point for many retailers that operate in low-light environments. “Low-light ambiance is a key design element in many bars, nightclubs, and restaurants. Performing transactions at a dark POS station can lead to increased errors during those transactions in low-light environments,” said Ivelisse Gomez, MMF POS’ New Product Development Manager. Gomez said that many establishments install bright spotlights or tract lighting so that staff can more easily manage the giving and receiving of cash which, in turn, disrupts the ambiance of the business. She identified the market need for PayVue by conducting research that showed 75% of cash drawer users felt that illumination would be very valuable since most users find it difficult to identify bill denominations when performing payment transactions. “PayVue will help speed up the payment process by making it easier to identify cash and coin and will also add a layer of loss prevention by strategically illuminating the area where cash is handled”, said Gomez. 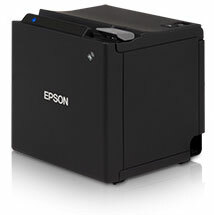 Epson designed the TM-m30 with a focus on mobile connectivity and a small footprint, making this compact receipt printer ideal for tablet POS environments, such as hospitality and specialist retail outlets. 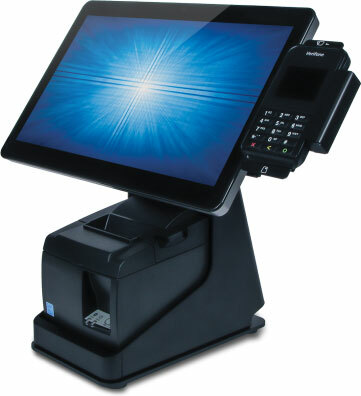 Its design makes it ideal for customers looking to move to a tablet POS system, including those currently using PC POS. 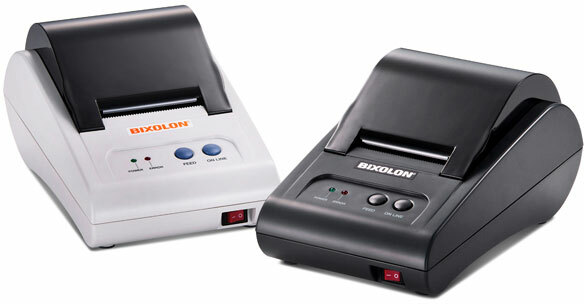 And, as one of the smallest stationary POS printers in the world , it’s easy to position anywhere. 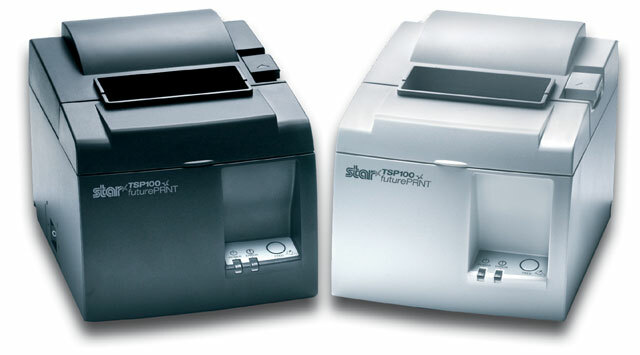 By touching an NFC-equipped mobile device or tablet to the TM-m30 printer, it is easy to pair both together to print. ePOS print, the printer’s built-in intelligence that communicates with web applications, allows direct printing from ANY mobile device without the need to install or update drivers, and is available for iOS and Android. As a lead manufacturer of touchscreens and POS terminals, Elo’s extensive product line can meet the needs of any retail application. In this video Elo’s Jeff Haller highlights Elo’s EMV option for the Elo 15-inch I-series on a flip stand and a 22-inch I-series mounted in portrait orientation as well as with Elo’s PayPoint system. Watch the video to see how simply adding a EMV solution creates a POS terminal or in-store eCommerce system out of an I-series computer. Star’s mPOP, Mobile Point of Purchase is the first hybrid for tablet POS that combines a cash drawer and receipt printer peripheral. With convenient Bluetooth and USB connectivity; this compact, stylish, yet fully integrated peripheral is an ideal solution for tablet and mobile device based POS system. Simply connect your preferred tablet or mobile device of choice and the mPOP transforms into a fully integrated POS system.